To say we had a blast photographing Melissa and Mark's San Francisco wedding would be an understatement! We fell in love with these two last summer when we went up to Mount Charleston to shoot their engagement session, so when their big day came earlier this month, we couldn't be more happy to be there for them. Melissa and Mark met and had many "dates" via Skype throughout their relationship. Mark is in the Marines and is stationed in Northern California, while Melissa lives here in Las Vegas. 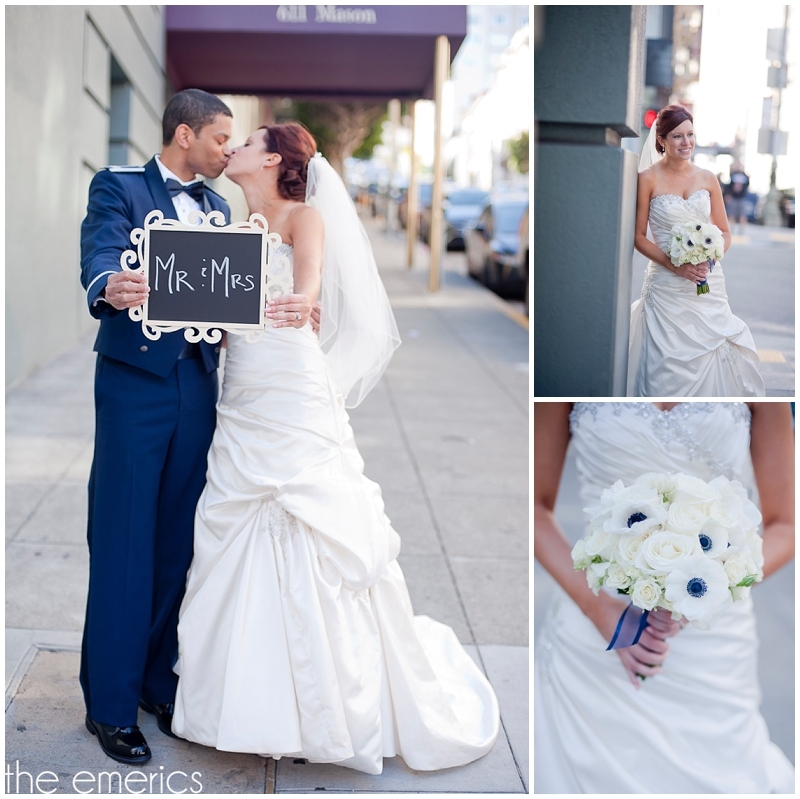 A destination wedding in San Francisco was the perfect spot for them! 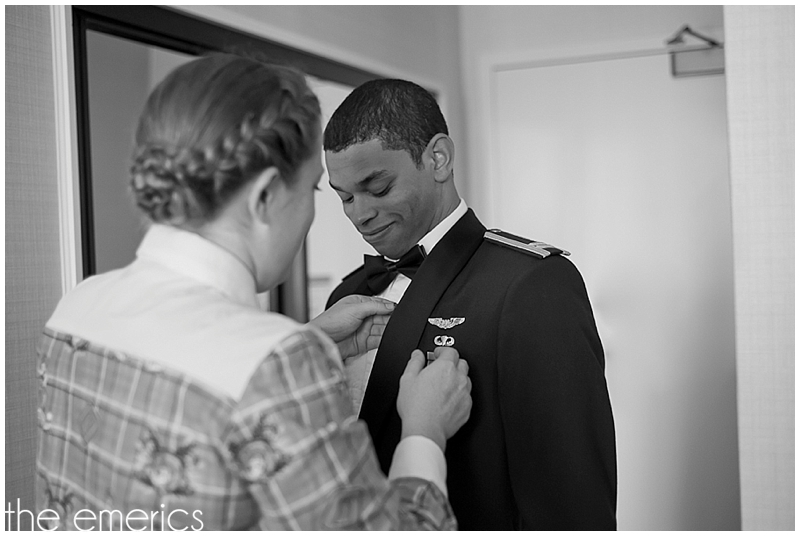 They were married at the Marines Memorial Club in Union Square among their closest friends and family. Melissa's cousin-in-law performed the ceremony while their wedding bands were passed along their guests to make a silent prayer or wish for their marriage. I absolutely love the idea of this 'ring warming ceremony', as it involves the guests in the ceremony and makes it very intimate as well. In true military fashion, Melissa and Mark walked under the saber arch right after the ceremony! 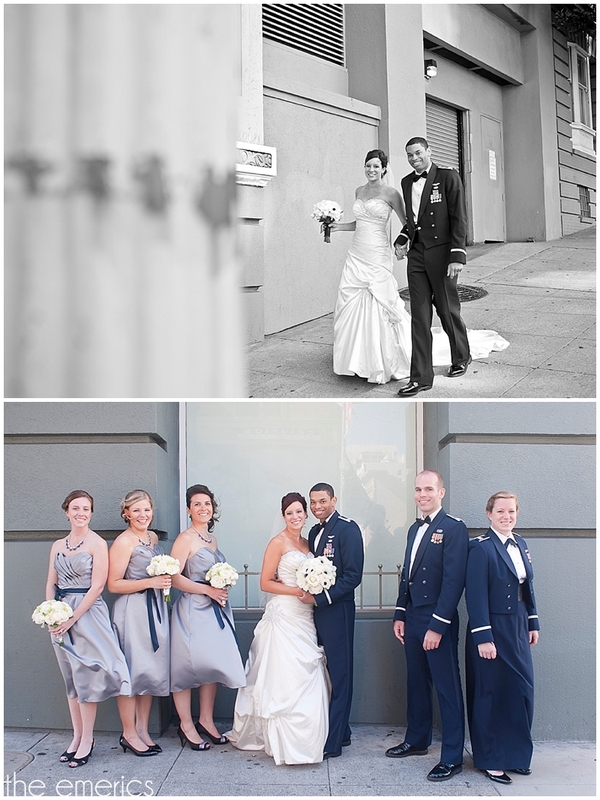 Photographing the bridal party and newlyweds in the streets of San Francisco was a blast! You can totally tell how much fun we had in the photos!! The rest of the evening was a great time. From heartfelt toasts to dancing shenanigans, it was a wedding day filled with love and laughter!